Life is a constant change. Love is the greatest surprise. Friendship is your best defense. Maturity comes with responsibilities. And death is just around the corner. So expect a little, assume nothing, Learn from your mistakes, listen to your heart, Take care of your friends, treasure your family, Achieve your goals, Cry because of laughter, Laugh because of pain, Eat your pride and throw up all hatred. 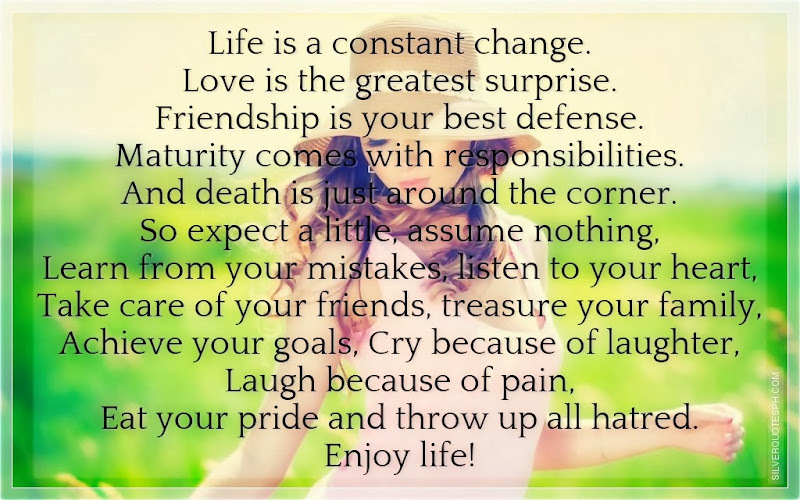 Enjoy life!